I'm looking for Paleo cookbooks, and I was wondering if I could get some community feedback on them before buying. 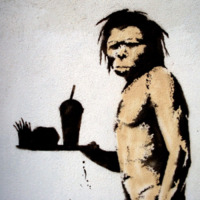 It's becoming obvious to me that we've evolved quite a ways from our mainstream Paleo roots. Our diet is now a mix of Primal, WAPF, Perfect Health Diet, and traditional/real/locavore foods. I realize that there's not going to be a perfect cookbook for us, but I'd rather not get something really off base. I was hoping I could outline our wants and get some feedback as to whether the books I'm considering are an okay fit. Other book suggestions are also welcome! Safe starches, a la the Perfect Health Diet. Over-reliance on nuts. I'd much rather use a starchy flour like tapioca or rice. Unnatural substitutions of any sort. We are lucky enough to not have any food sensitivities, so I'd rather it be natural. *Bows head politely, not as to worship* I'm reading your book right now. I've never felt like health and diet made so much practical sense. This could change my life dramatically! Yay!! Looking forward to them! I do the Google thing too! :) But I thought I would try a cookbook just to see if it works better for me. I had looked briefly at GF sites a long time ago, but that was before we did safe starches. It hadn't occurred me to try them again. Thanks! Thank you! All great suggestions. Both Russ Crandall (The Domestic Man) and Shou-Ching and I will have PHD cookbooks out next year. @ Joyce paleodietlifestyle.com has many online recipes and you can buy the book. @ Methodician you should try squash or zuchinni for pasta. It won't taste the same, but it'll look like pasta, somewhat. Aside from that, I second gluten free cookbooks, at least for inspiration then you go adjust and experiment to fit a more PHD ethos. For instance, Paleo cook books will tell you to make pasta with that noodlie squash instead of starches. Gluten free will point to safe starches. I haven't made a pasta since going Paleo though. I don't think the paleo books you mention do not use dairy or tapioca and rice flour. I have Well Fed and it certainly does not. What you're really looking for is a PHD cookbook, but they haven't published one yet. You may want to try these books out at your library or through inter library loan before committing to purchase them. You might also like Sally Fallon's Traditional Foods book for the dairy component (plus a lot of WAPF stuff fits your criteria) and peruse gluten free sites for tapioca/rice flour creations.